Auch in Österreich gibt es einen Ableger des amerikanischen Senders. 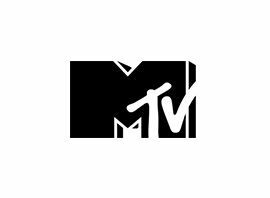 MTV Austria, was an optional localized feed of MTV Germany for the Austrian market.The channel featured localized advertising and ´Music & Style´ a weekly local show featuring special events and music from Austria. The channel often showed different music videos from its German counterpart aiming at more rock oriented music which is more popular in Austria. There were also many more music videos on the Austrian version because of advert deals that can´t sell in Austria and Austrian laws against Jamba! commercials. Shows: Sixpack, Music & Style, Game-Base-Weekly, Silvester Special, MTV News, MTV Crispy News, RockZone, MTV Brand New, Making the Video, Pimp My Ride, I Bet You Will, Life of Ryan, Jackass, Next, The Hills, The Real World: Hollywood, Parental Control, The X Effect, Room Raiders, Exposed, Scarred, Paris Hilton´s My New BFF, Run´s House, Fist of Zen, My Super Sweet 16, Made.